Before Americans got their news from television, they got it from LIFE, the weekly magazine that set the standard for photojournalism. In LIFE Story Gerald Moore—a writer and editor who worked at the magazine in the last glory years before TV made it obsolete—recalls the dizzying excitement and glamour of LIFE’s fast-moving, powerful approach to spreading the news. Moore covered the major stories of the late 1960s and early 1970s: LSD, assassinations, the 1968 Democratic convention in Chicago, the McCarthy campaign, urban riots, the My Lai massacre, and the beginnings of feminism. Before joining LIFE at the age of twenty-seven, he worked as a police officer in Albuquerque and then a reporter at the Albuquerque Tribune—both jobs teaching him the tools of his trade. 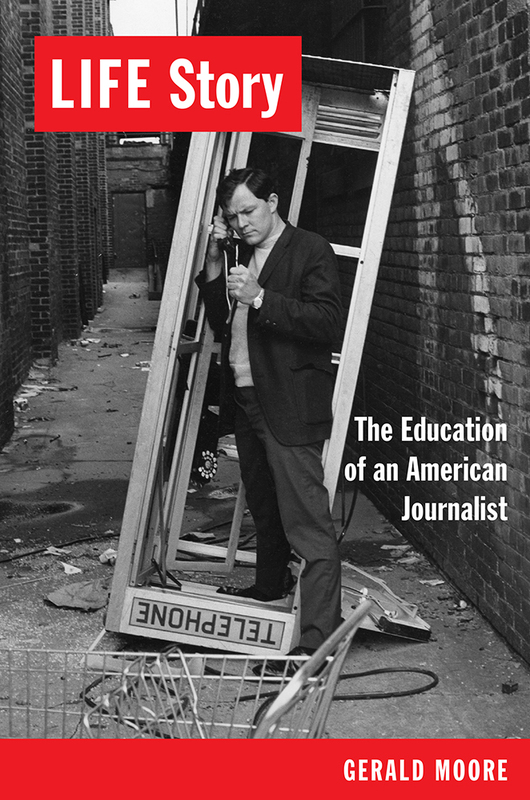 His story offers a wonderful look back at the good and the bad old days of journalism. Gerald Moore lives in Hudson, New York, and Chapel Hill, North Carolina.